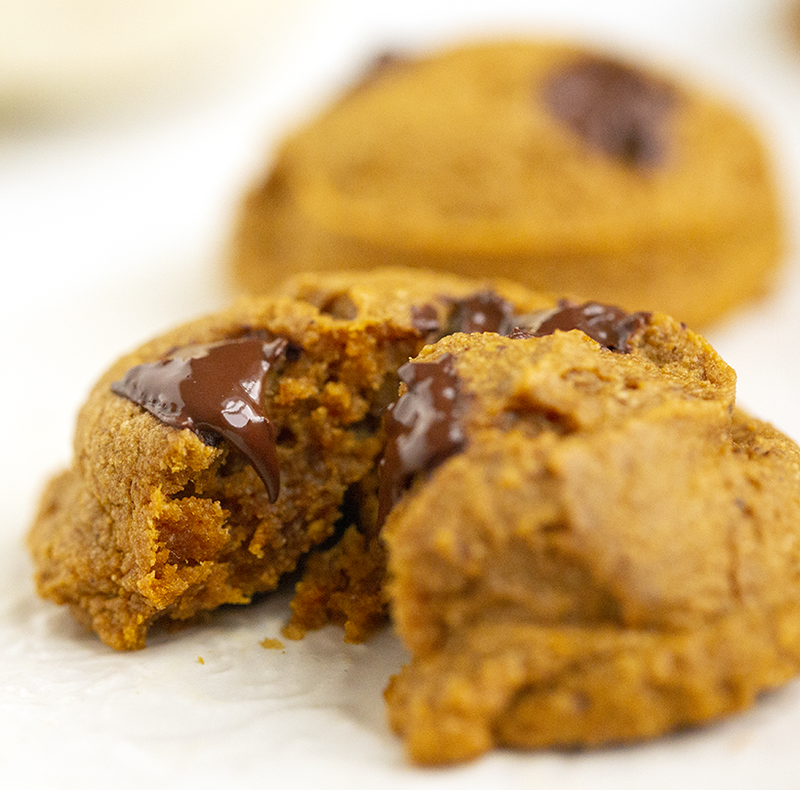 These vegan Soft Pumpkin Cookies with optional chocolate chunks are a delicious treat for fall. Warmly spiced and sweetened with coconut sugar, they have a pumpkin patch meets cozy Halloween night sort of aroma. They have a, fall leaves, crisp breezes, a crackling fire, cinnamon-spice, Jack-o-lantern sort of vibe. So if you are in a cookie baking sort of mood this month, whip up some of these for your friends and fam! These pair well with your fave latte or mug of hot tea. They also pack well in lunch boxes or baggies for an on-the-go snack. The hearty pumpkin flavor gives these a bit more oomph and added goodness than a traditional chocolate chip cookie. So feel good about snacking on these!…. These soft and fluffy pumpkin cookies are tender and warmly spiced – perfect for fall! You can add chocolate chunks if desired.